Time for a change? Tired of flying the same thing everyone else has? Need to stretch your world? Want to see more? 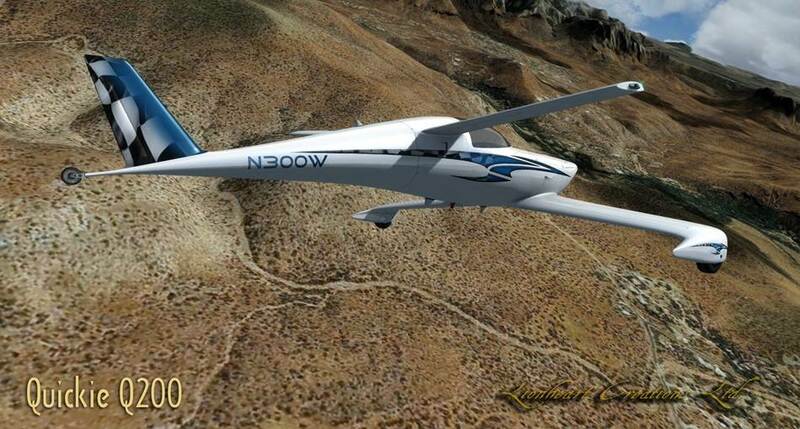 Ever dreamed of owning a custom built aircraft? 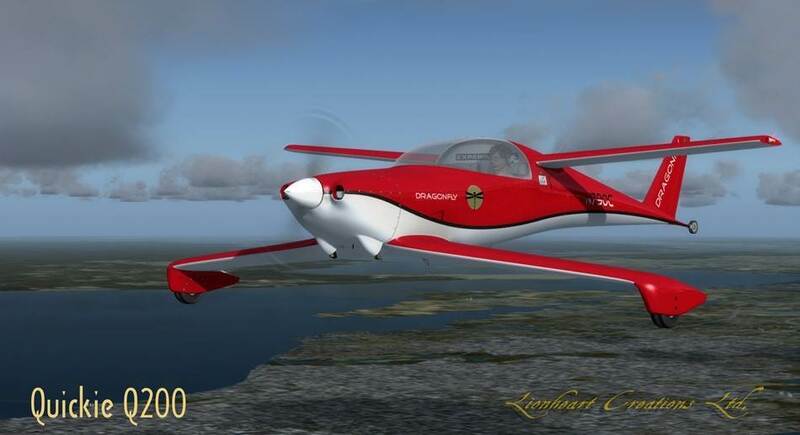 This package features a 'fictional' version of the famed 1980's Q200 Dragonfly. 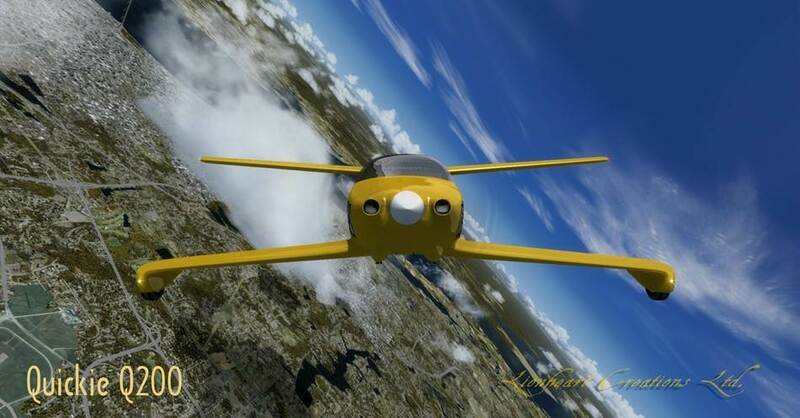 The LHC version Q200 has a high performance Continental O-200 engine, cruises at 180 MPH, and features standard instrumentation. No LCD screens. Just dials. 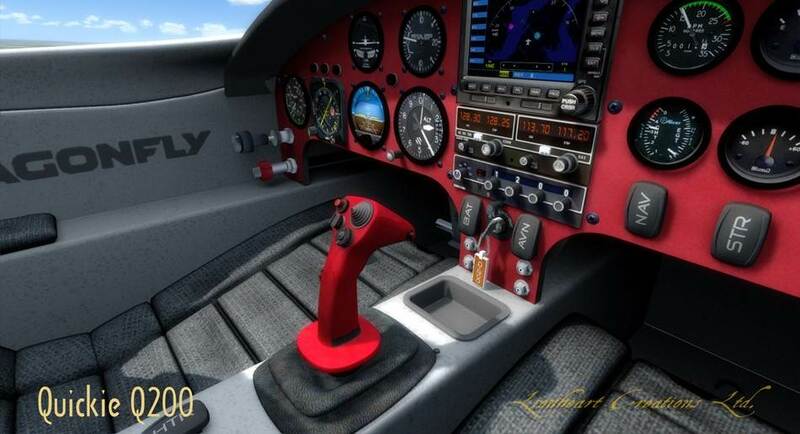 This pro addon pack also features eleven massive 'Theme' packs where everything from instrument panels and seats, interior color themes as well as exteriors are all treated differently for each plane. 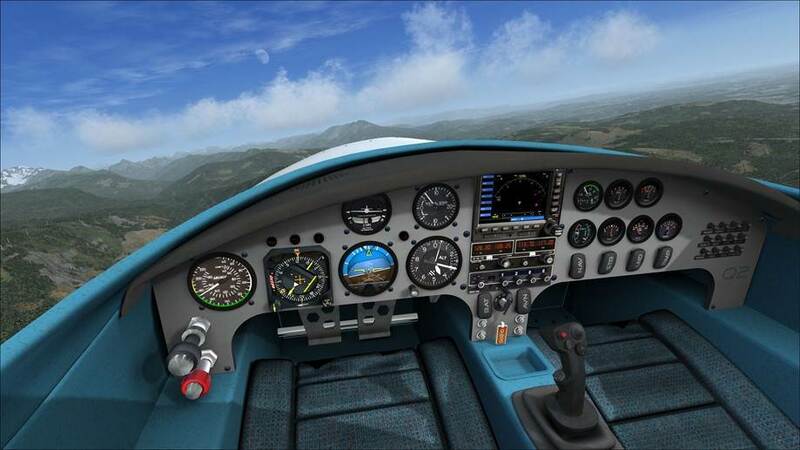 If you want a new aircraft that is a little feisty, needs attention, isnt to boring, adds some spice to your normal flying adventures, then the Q200 might be for you. Extreme resolution 4096 textures for main important textures like the exterior. 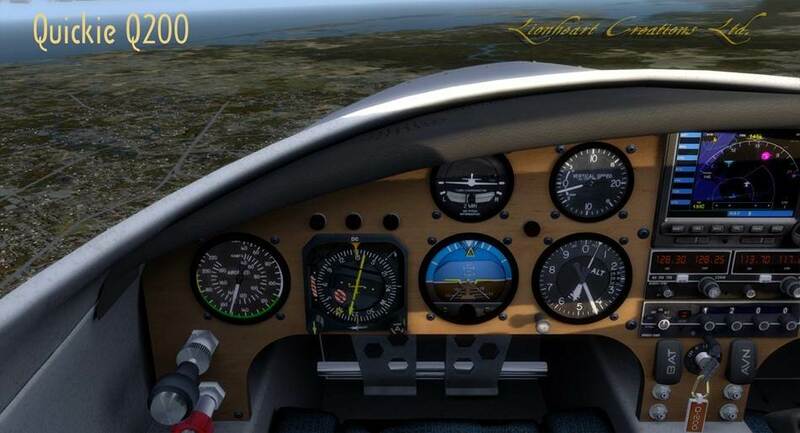 3D Raised Instrumentation (knobs and bezels) with 2D high resolution graphics. Gauges are not true 3D but 2D XML coded instruments mapped on 3D surfaces. 'One' 2D instrument panel in 'gray' only. LHC is starting a trend where it does not create a simple livery with an outside paint scheme, but an entire 'theme' built into the aircraft package. A theme goes far beyond just a paint scheme. It includes the panel, upholstery, the cabin interior, fabrics, instrumentation bezels, etc, etc. The entire plane is redone. 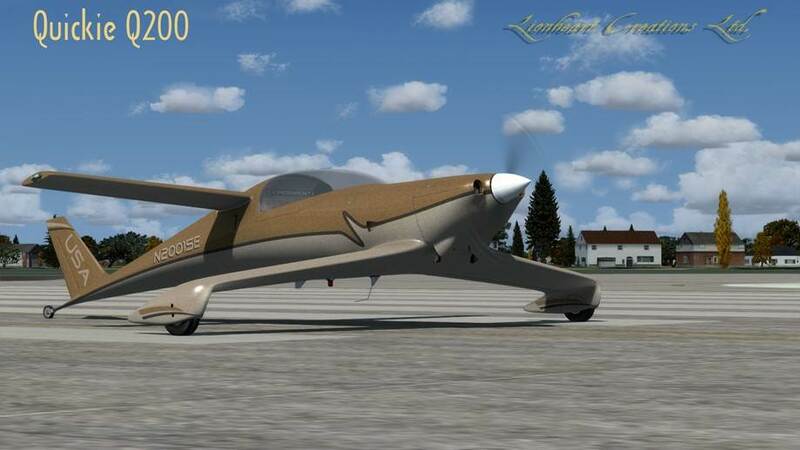 Each theme is designed to make the aircraft so totally different from the rest, that it is as though you get many completely different planes rather then one plane with several paint schemes on its exterior. Below are the various 'Themes' that are in this package. Eleven Themes are included in the Q200 package. 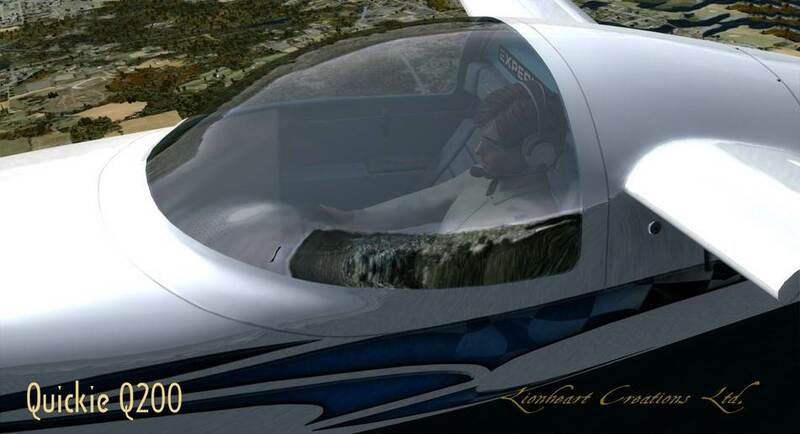 Update: If you purchased the Lionheart Creations "Quickie Q200" from PC Aviator prior to March 8, 2018, you will receive an e-mail with your unique activation code needed to update your product. Please ensure you are receiving PC Aviator e-mails by subscribing to our newsletter.